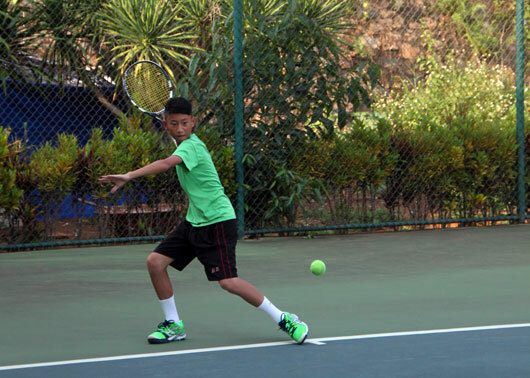 HA NOI (VNS) — Vu Ha Minh Duc of Ha Noi won U12's singles at the National Men's Tennis Championships, which concluded in Dak Nong Province yesterday. Duc readily beat Vu Thanh Tung of Vinh Phuc in just two sets 4-1, 4-0 for the gold. Cao Duong Dai of Binh Duong and Hanoian Vu Thai Nam shared the bronze medal. Tu Le Khanh Duy of Binh Duong took gold in the U14's singles after besting Nguyen Hoang Minh of Ha Noi 6-2, 6-4. The bronze medal went to both Nguyen Duy Nam of Vinh Phuc, and Tran Cao Son of Ninh Binh. In the U16's singles final, Nguyen Van Phuong of Binh Duong defeated Le Trung Tinh of the Military team 7-5, 6-3.